In mid-December I wrote about the chuckles unintentionally provided to the Second Circuit during oral argument of the appeal by Louis Vuitton of the rejection of its claims in the now-famous “My Other Bag …” case. No one who practices law wants to be laughed at by judges. So when it happens we take no pleasure in it all. LV argues that the district court erred in finding as a matter of law that the use of its marks on MOB’s tote bags was parodic, bringing it within the “fair use” exclusion from dilution liability. See 15 U.S.C. § 1125(c)(3). Whether parody is properly identified before or after conducting the six-factor dilution analysis stated in § 1125(c)(2)(B), see generally Starbucks Corp. v. Wolfe’s Borough Coffee, Inc., 588 F.3d 97, 112 (2d Cir. 2009) (assuming without deciding that factor analysis should be conducted first), the district court correctly awarded judgment to MOB. “A parody must convey two simultaneous—and contradictory—messages: that it is the original, but also that it is not the original and is instead a parody.” Hormel Foods Corp. v. Jim Henson Prods., Inc., 73 F.3d 497, 503 (2d Cir. 1996) (quoting Cliffs Notes, Inc. v. Bantam Doubleday Dell Publ’g Grp., Inc., 886 F.2d 490, 495 (2d Cir. 1989)). MOB’s bags do precisely that. At the same time that they mimic LV’s designs and handbags in a way that is recognizable, they do so as a drawing on a product that is such a conscious departure from LV’s image of luxury—in combination with the slogan “My other bag”—as to convey that MOB’s tote bags are not LV handbags. The fact that the joke on LV’s luxury image is gentle, and possibly even complimentary to LV, does not preclude it from being a parody. See Louis Vuitton Malletier, S.A. v. My Other Bag, Inc., 156 F. Supp. 3d at 435–38; see also L.L. Bean, Inc. v. Drake Publishers, Inc., 811 F.2d 26, 34 (1st Cir. 1987) (“[A] trademark parody reminds us that we are free to laugh at the images and associations linked with the mark ? [or provides] entertainment conveyed by juxtaposing the irreverent representation of the trademark with the idealized image created by the mark’s owner.”). Indeed, a parody of LV’s luxury image is the very point of MOB’s plebian product. That distinguishes this case from ones cited by LV where a trademark was used merely to “promote” or “sell” goods and services, which is impermissible. See Starbucks Corp. v. Wolfe’s Borough Coffee, Inc., 588 F.3d at 115 (using “Charbucks” to identify coffee blend as one competing at same level and quality as Starbucks); Harley Davidson, Inc. v. Grottanelli, 164 F.3d 806, 813 (2d Cir. 1999) (using Harley-Davidson logo to advertise motorcycle repair shop). LV nevertheless contends that MOB is not entitled to a fair-use dilution defense because MOB uses LV’s marks as a “designation of source.” 15 U.S.C. § 1125(c)(3)(A). The district court, however, determined that the testimony of MOB’s CEO, upon which LV principally relies to support this argument, unambiguously refers to the likelihood of consumer confusion, not the designation of source. See Louis Vuitton Malletier, S.A. v. My Other Bag, Inc., 156 F. Supp. 3d at 437–38 (citing J.A. 350–51). Our review of the transcript does not suggest otherwise. 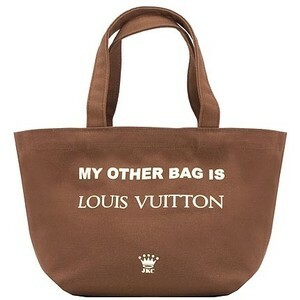 In any event, the nature of MOB’s business—it sells quite ordinary tote bags with drawings of various luxury-brand handbags, not just LV’s, printed thereon—and the presence of “My other bag,” an undisputed designation of source, on one side of each bag, independently support summary judgment for MOB on this designation-of-source issue. Parody – what is it? Brand owners should diligently protect their trademarks from infringement, dilution and other misuse (e.g., unfair competition, passing off, false advertising and cybersquatting) that may harm the owner’s goodwill and business reputation. At the same time, brand owners may choose not to vigorously pursue all possible uses that might conflict, or to immediately commence a lawsuit against every possible infringer. Of course, a complete failure to enforce will lead to a weakening of an owner’s marks, loss of distinctiveness over time and potential forfeiture of certain available remedies. Nonetheless, when potential infringements are identified, brand owners should investigate and evaluate all relevant factors such as type of use and likelihood of confusion, and consider defenses such as parody. 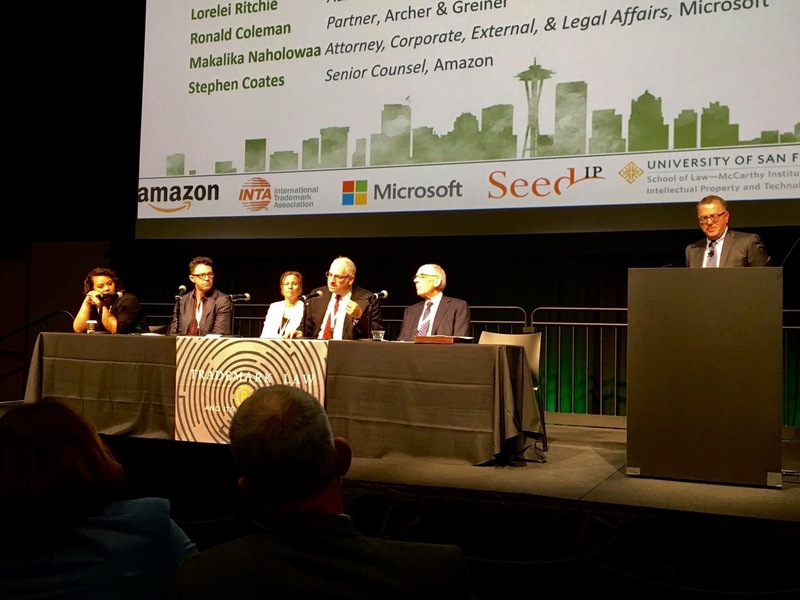 Lawsuits are costly in terms of time, money and resources, so legal enforcement priorities should be established based on appropriate considerations. Doing so will help brand owners avoid losses similar to Louis Vuitton’s at the district court level and again on appeal, as well as the “Streisand effect” unintended consequences of actually helping to publicize and promote My Other Bag’s products, and perhaps emboldening others to create and sell products that parody Louis Vuitton’s high-end luxury image.